Our firm represents individuals charged with a variety of criminal and quasi-criminal offences. Our lawyers have experience in representing people charged under the Criminal Code of Canada, the Controlled Drugs and Substances Act, the Fisheries Act, the Nova Scotia Motor Vehicle Act, and young offenders who fall under the Youth Criminal Justice Act. We offer flexible fee arrangements to cater to the various needs of our clients. If you find yourself charged with an offence, please contact our firm to learn about your options. The criminal process is complex and it involves many steps. Here is a basic breakdown of some of the major steps encountered in a criminal matter. Please note that this breakdown is meant as a basic description of the criminal process and not meant to be taken as legal advice. It is always in your best interests to get legal advice from a lawyer. Remember that whatever stage of the criminal process you may find yourself in, it is almost never too late to speak with a lawyer and get legal advice. Often, a person’s interaction with the criminal system begins by being arrested. Everyone has a number of rights when they are arrested. One of the most important is the right to be able to speak to a lawyer. It is always a good idea to speak with a lawyer before you make any decision or say anything to the police, even if you feel you are aware of your rights or feel you have done nothing wrong. All people also have the right to silence, which is particularly important upon being arrested. This right means that a person who is being investigated does not have to provide any information to the police except for their name, address, date of birth and certain other exceptions that are case-specific and should be discussed with a lawyer. It is almost always in a person’s best interest to remain silent when they have been arrested, but this should be discussed with a lawyer at the time of being arrested as well. When an individual has been arrested and the police decide that they will proceed with laying charges, that person (“the accused”) can either be released by the police or held for “bail”. If they are released, they will be given a “promise to appear”, or an “undertaking to police officer”. These documents both indicate the day on which the accused must attend court for their “first appearance”. An undertaking to police officer will also contain additional conditions which the accused must abide by, or else they will be charged with breaching their undertaking. If the police decide that they wish to hold the accused in custody, then the accused must be brought before a Justice within 24 hours. The Justice must determine whether or not the accused should be held in custody until their trial. At this stage, the accused can be released in two ways. First, the accused and the Crown could agree upon a “bail plan” under which the accused can be released. There are a variety of options available which can include conditions, bonds, payments and other individuals acting as a surety. If the Crown and accused cannot agree on a bail plan, or if the Crown is fully opposed to releasing the accused from custody, then the accused may choose to hold a bail hearing where a proposed bail plan is suggested to a Justice. The Justice must then decide whether the accused should be held or whether they may be released on a bail plan. A first appearance is the first time that an individual appears in court for their charges. This can occur in the context of bail proceedings or it can be the day stated on a promise to appear or undertaking given by a police officer. At a first appearance the accused has the charge against them read out. The Crown will elect whether they wish to proceed by summary offence (less serious offence) or indictment (more serious offence), if the charge is one that gives them that option. The accused also enters a plea and, if the charge is indictable, makes an election as to which court they wish to have their trial ad whether they wish to proceed by Judge alone, or Judge and jury. If either the Crown or the accused are not ready to proceed at the first appearance, then a plea or election may be set over to another date if the Judge so permits. Once a plea is entered and all elections are made, then usually dates are set down for a trial to be held. Before going to trial there are a number of things that can be done, and some that must be completed. The accused or the Crown may decide to bring an application concerning the case. A pre-trial conference may be required if the case is complex enough. Sometimes a preliminary hearing may be held if the matter proceeds by indictment and the accused elects to have one. Also, all necessary disclosure between the accused and the Crown must be exchanged and the proper witnesses must be subpoenaed. There are too many pre-trial procedures to discuss in this summery, and this should be discussed in further detail with a lawyer. The trial is where the substance of the charges against the accused are considered by a Judge or a jury. Because everyone has the right to be considered innocent until proven guilty, the onus of establishing guilt is always on the Crown and must be proven “beyond a reasonable doubt”. During a trial the Crown is the first to present their evidence against the accused. The accused has the right to cross examine any witnesses the Crown examines. After the Crown has finished presenting evidence and closed their case the accused is given the opportunity to call evidence. Once both sides have closed their cases, both have a final opportunity to make their argument. If the accused has presented evidence to the court, they go first. If they have not, then the Crown goes first. The Judge or jury will then consider the evidence and arguments and make their decision. A sentencing only happens if the accused enters a plea of guilty, or if they are found guilty at their trial. The sentencing is the opportunity for both the accused and the Crown to make submissions about what penalty should be imposed for the crime committed by the accused. 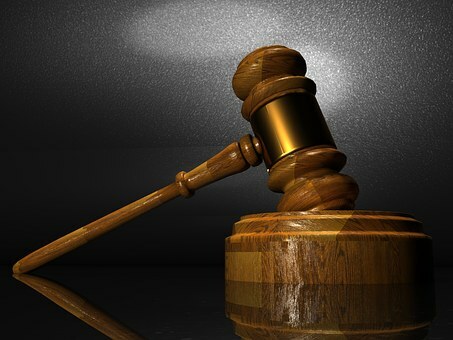 If the crime is of a serious or complicated nature, or if the accused’s circumstances call for it, a pre-sentence report that provides a summary of the accused’s circumstances may be ordered. If the Crown and accused come to an agreement, they may make a “joint recommendation” on sentence. The Judge is not required to agree with joint recommendations, but if they impose a different sentence they must give reasons why they feel the joint recommendation is unreasonable. If there is no joint recommendation then the accused and Crown both call evidence and make their arguments about what they feel the sentence should be.